You know your mom’s birthday, the sixteenth president of the United States, the sum of ten and eight, and maybe even how many tablespoons are in a cup. There’s an enormous number of things we have learned and remembered without thinking much about it. Decatur shouldn’t be any different. Take a look below at important facts we should know about our community and continue to share with others. It’s not just loving it and living it. We have to know it, too. Decatur has the highest hourly wages in the region. How so? Take all the wages earned by people working in Macon County today, and divide that by the number of people working. Valuable overtime is included in the calculation, but government employees’ hours and wages are not. 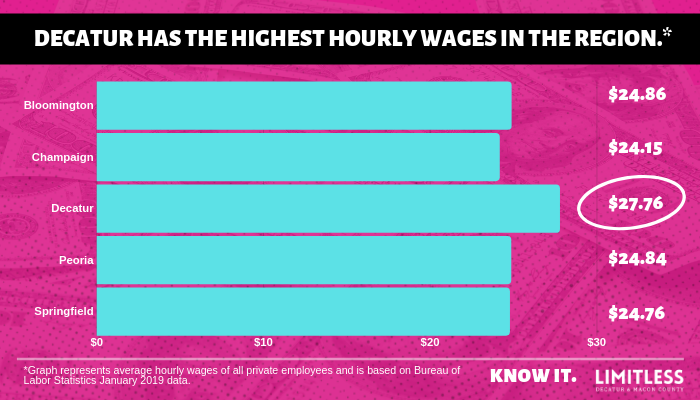 That’s how the Bureau of Labor Statistics calculates hourly wages. *Based on 2017 Annual Average Wages Data from the Bureau of Labor Statistics. People are moving to Decatur. 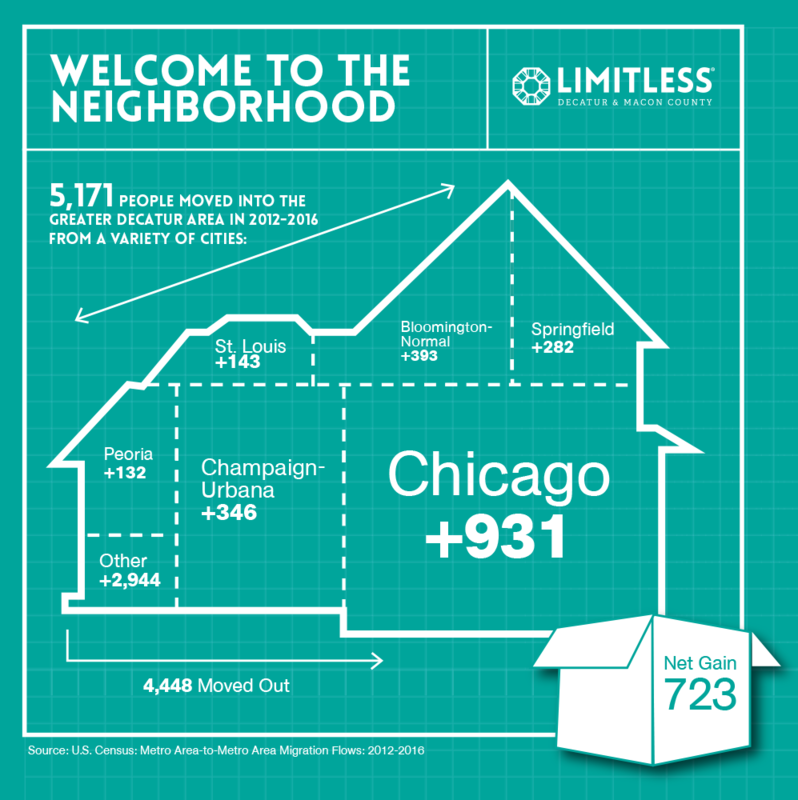 You may have heard the complaint that no one is moving to Decatur and everyone is leaving. Hold onto your seats… Take a look at the Migration Data chart below to get a factual illustration of who is moving in and out of Decatur. On a similar note, the 2020 Census is coming soon and we NEED your participation. This will help us get brand new data to analyze and continue to tell our story. Decatur has downstate’s only FREE Montessori schools. Rockford and Chicago Public Schools (CPS) in the most northern part of Illinois are the only other school districts that offer free Montessori education. Champaign, Peoria, and Springfield schools’ tuition ranges anywhere from $6,770 to nearly $10,000 a year for an elementary student! Decatur also offers private Montessori education at Prairie Flower Montessori School for toddlers to 12 years of age. Millikin University and Richland Community College offer over 180 degrees and certificates. From accounting, communications, and entrepreneurship to phlebotomy, welding and everything in between, Millikin and Richland offer high-quality programs that fit everyone’s interests. Check out more details below. – To help train/certify current employees or help folks get a jump start on a career in manufacturing and/or transportation, RCC developed several new workforce programs including manufacturing skills courses and truck, forklift, and aerial lift training classes. 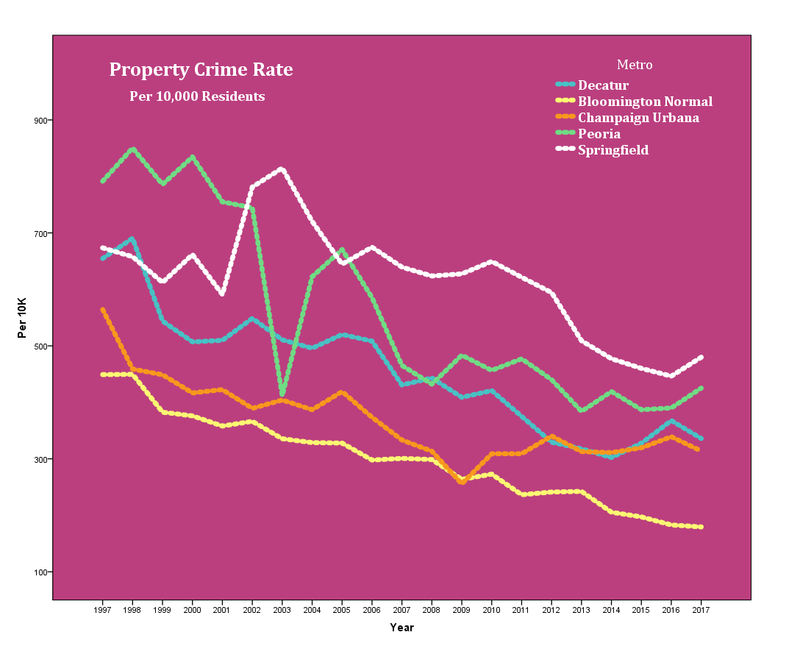 Decatur’s violent and property crime rates are at a 20-year low. 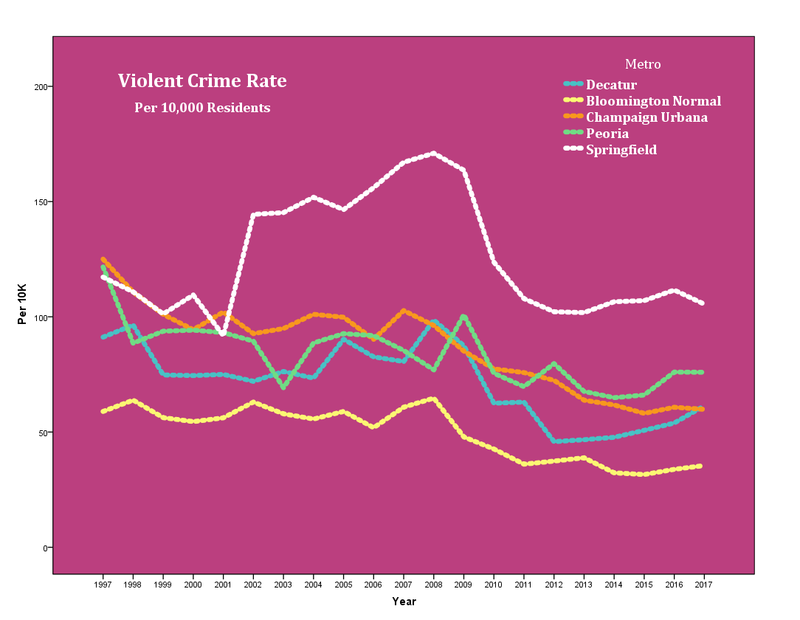 We are statistically safer than Champaign, Peoria, and Springfield. We’re all familiar with the saying, “If it bleeds, it leads.” It dominates our news cycles. But are the headlines an accurate representation of our community? Take a look below and see how Decatur’s crime rates compare to other metros in the region. Over 8,000 rail cars roll through Decatur each day. We’ve all been stuck behind a train. Sometimes only for a few minutes, other times longer. However, we should show some love to the thousands of rail cars that roll through our town. 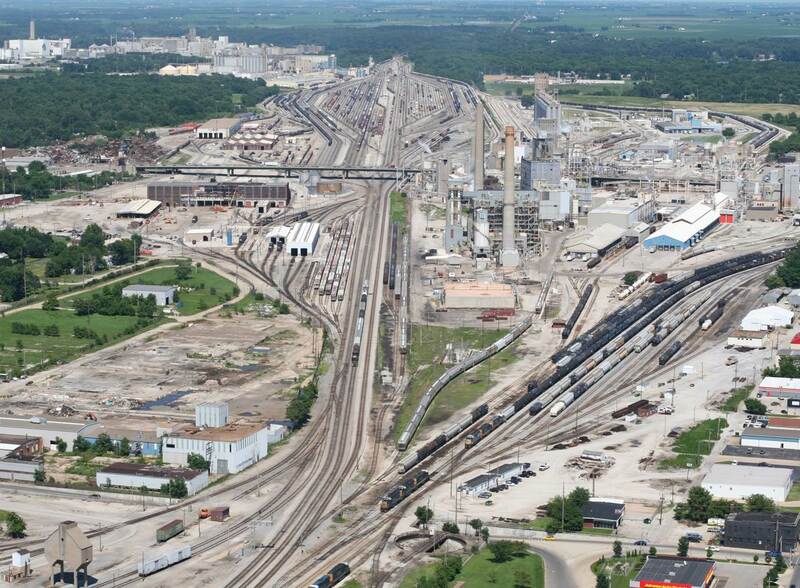 These same rail cars are transporting a lot of our businesses’ goods (like corn ingredients for A LOT of Fritos!) and further helping the economy flourish. Take a look at some of the interesting facts on Decatur’s rail cars below. Decatur has over 1,000 open jobs available right now. Each month a list of more than 1,000 available jobs is compiled into a working spreadsheet and uploaded to CareersDecatur.com. Job hunters are able to view, download and search within the spreadsheet to find opportunities that interest them. Decatur is the most affordable housing market in the country. Pair that with Decatur and Macon County’s low cost of living, and you’ll be saving lots. Use that extra money for pillows and stuff. May we suggest ones like these? Decatur and Macon County are diverse. Our community benefits from a variety of languages, ethnicity, religions, and ages. We recognize the uniqueness of our residents while showing respect and interest in their abilities, experiences, knowledge and strengths. Take a look below at some of the ways our diversity shines through in Decatur and Macon County. – According to the most recently available data by the Association of Religion Data Archives, over 150 houses of worship are in Macon County. Some of the religious bodies include the Baha’i, Buddhism, Christian, Jewish, and Muslim faiths.